I’m not sure what my expectations where when I started reading Evidence of Life. I thought the plot sounded interesting and there were so many places the story could go that I was ready to sit down and enjoy the ride. Abby is not always the most reliable character and I really enjoyed that. While some people would look at the storm that blew through and accept that her family was gone, she is driven to find the answers. 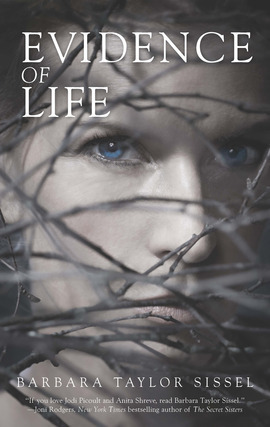 She needs to know what happened and in her quest to discover that, she starts to doubt the life she thought they had. Sissel wrote a story that weaves in and out, leaving little clues here and there, just to see if you can pick up on them. I thought I had the story figured out, but then something new would pop up and it would make me stop and think. I think what I enjoyed most about this novel is how well Sissel wrote both a mystery novel and a look at the human character in the same book. One did not detract from the other; they only enhanced each other. In order to figure out what happened to Abby’s family, first you have to figure out what is happening with Abby. It was wonderful. Evidence of Life is a fantastic novel that takes a look at how not knowing the answers can push a person further than they ever thought possible. It twists your heart at times and you can’t help but hope for a future for Abby. Thank you to Mira Books and NetGalley for an advanced copy of the novel in exchange for an honest review. This entry was posted in Mystery, Thriller, and Suspence and tagged Barbara Taylor Sissel, Mystery/Thriller.